1951: A daytime version of Hawkins Falls premiered. on CBS. 1971: ABC aired the final episode of Dark Shadows. 1951: Hawkins Falls, a primetime dramedy in 1950 returned as 15-minute five-days-a-week daytime soap opera on NBC titled Hawkins Falls: A Television Novel, created by Roy Winsor and Doug Johnson. Its large cast of "townspeople" included Frank Dane, Bernadine Flynn, Ros Twohey, Hope Summers and Barbara Berjer. Produced and directed by Ben Park, it ran four years. 1956: Procter & Gamble's As the World Turns, the first 30-minute daytime soap opera, premiered on CBS. The show starred Don MacLaughlin and Helen Wagner as Chris and Nancy Hughes, roles they would both play until their real-life deaths (Wagner had some time off in the early 1980s). Wagner said the first line in ATWT history, "Good morning, dear." Other original cast members included Rosemary Prinz, Ruth Warrick, Les Damon, Wendy Drew, William Lee and Hal Studer.. Read creator Irna Phillips' original story bible for the fictional Oakdale-based soap (As the World Turns) here. ATWT became the top-rated daytime soap for much of the first two decades and ran more more than 54 years. CBS aired the final episode on September 17, 2010. The final line was, fittingly, "Goodnight." and Don Hastings shoot a scene in 1959. 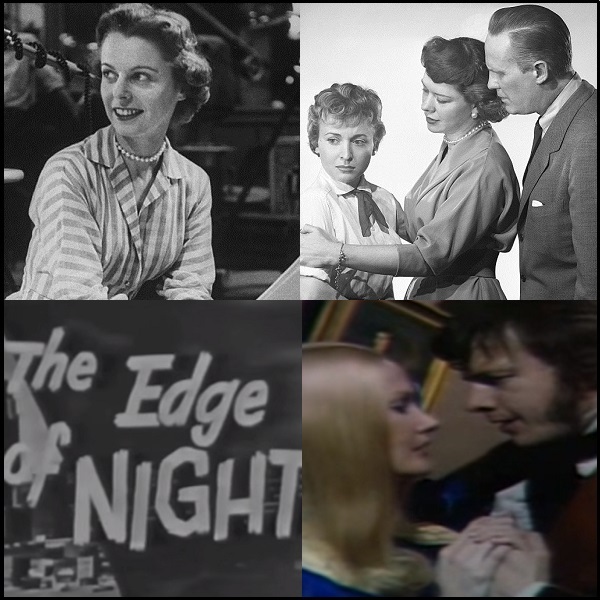 1956: Another 30-minute P&G soap, The Edge of Night, premiered on CBS. Irving Vendig created the mystery serial set in the fictional Midwestern city of Monticello. Original cast members included John Larkin as Mike Karr, Teal Ames as Sarah Lane, and Don Hastings as Jack Lane. Hastings would move to sister-soap ATWT in 1960. 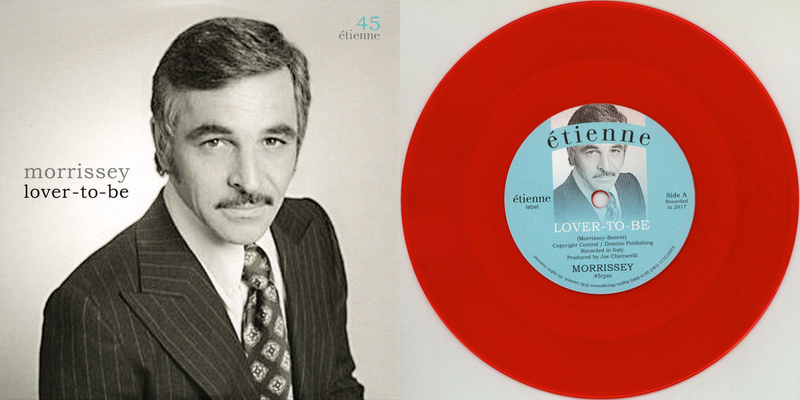 The Edge of Night moved to ABC in December 1975, when CBS expanded ATWT to one hour. The show ended its run on December 28, 1984. 1968: On The Doctors, Dr. Althea Davis (Elizabeth Hubbard) tried to discuss medical treatment with patient Lila Anderson (Kathleen Maguire), but was refused. "I care very much", said Althea. "I know that I can help you." 1978: Primetime soap opera Dallas premiered on CBS. The show began as a five-part miniseries, and returned in the fall in the regular lineup. The show aired until 1991. In the very first episode, Bobby Ewing (Patrick Duffy) had married Pam Barnes (Victoria Principal), much to the chagrin of their families. 1979: On Guiding Light, Ross Marler (Jerry verDorn) asked Roger Thorpe (Michael Zaslow) about his relationship with Rita Bauer. 1985: Julianne Moore debuted as Frannie Hughes in As the World Turns. 1990: On Another World, Sharly (Anna Holbrook) asked Grant (Dack Rambo) to spend the night with her. 1999: Former daytime director Robert Myhrum (Ryan's Hope; The Secret Storm; Love of Life) died at age 72. 2002: Former daytime soap writer Henry Slesar (The Edge of Night; Somerset; Capitol; Search for Tomorrow) died at age 74. 2009: On Guiding Light, Colin was born.